Information and Referral - Start Here! Elder Services’ Information and Referral Department can answer questions regarding any of the programs and services listed here. Call 413-499-0524 and ask for I&R. ADRC - Berkshire's Aging and Disability Resource Consortium. 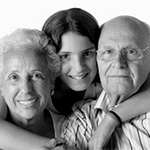 Alzheimer's Resources - The Gallagher Alzheimer’s Resource Center is available on site at Elder Services, 877 South Street, and includes books, brochures, and other related resources on Alzheimer’s disease, dementia, and caregiving. Caregiver Support - Elder Services has support groups and respite services for caregivers. Clinical Assessment & Eligibility Department (CAE) - Medicaid recipients twenty-two years of age and older seeking admission to a nursing home must be medically approved (screened) by the CAE Department at Elder Services of Berkshire County. Options Counseling – We assist individuals in need of long-term care services to make informed choices about the services and settings that best meet their needs. Meals-On-Wheels - The Meals on Wheels program provides homebound elders with a nutritious, hot meal once a day at the noon hour. Current M-O-W Menu. Money Management- Trained, insured, and supervised volunteers are matched one-on-one with elders needing assistance with managing household finances. Nursing Home Ombudsman - Elder Services Ombudsman Program oversees 15 nursing and rest homes in Berkshire County. Our state certified volunteers visit each facility once a week. Nutrition - “Meals on Wheels” are designed to provide just the right combination of good nutrition and a friendly visitor for people 60+ who may not be able to prepare their own meal, or understand the proper nutritional requirements as they are advancing in age. Also offered are Congregate Meal Sites providing a nutritious hot lunch at numerous locations. Prescription Advantage - a prescription drug insurance program for all Massachusetts residents age 65 and over and low-income individuals with disabilities under the age of 65. Protective Services - Assistance to those 60 and older who are victims of abuse, neglect, financial exploitation by another person, or are self-neglecting. Contact Protective Services through their state-wide toll free line at 1-800-922-2275. Senior Dining Centers – We offer Congregate Meal Sites providing nutritious hot lunches at numerous locations. Senior Employment (SCSEP) – The SCSEP mission is to provide job training and placement for individuals age 55 or older with limited financial resources and to provide employers with trained, motivated workers. SHINE/Serving Health Insurance Needs of Everyone - The SHINE program provides free, unbiased and up-to-date health insurance information, counseling and assistance to Medicare beneficiaries of all ages and their caregivers. Staying Home | Homecare Services - In-home services including homemaker, personal care, laundry, meals, and adult day health, are determined by an in home eligibility assessment of impairment level and needs. Subgrants - With funding from Title III of the Older Americans Act, Elder Services offers a limited number of Subgrants to local organizations to fund services and workshops. Supportive Housing Programs - Group Adult Foster Care, and Providence Court. Transportation - Volunteers who are trained, screened and supervised provide rides free of charge to medical appointments and shopping.